Your fundraiser makes a world of difference. With your donation you support CooP-Africa (Cycling out of Poverty) to enables African entrepreneurs to increase their income, students to improve their performance at school, health professionals to visit more patients and bring patients to hospital more quickly and bring social inclusion and hope for people living with disability. We encourage employers, employees, schools, cyclists, and many others to take action and raise money for bicycles for students, farmers, health workers and small entrepreneurs and mobility aids for people living with disability. You can support a fundraiser or start your own fundraiser. Thank you and a lot of success! Bring your community together, cooperating to organise fundraising events. Involve local schools, businesses, and faith groups. Sponsored bake sales, walks and bike rides, competitions and dinners, are all fun ways to raise money and awareness. 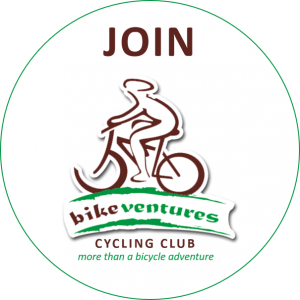 Are you passionate about cycling? Turn you passion into action. 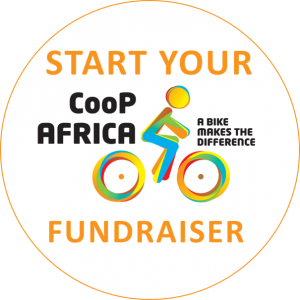 Use your upcoming cycling event or challenge to support CooP-Africa (Cycling out of Poverty) giving access to education, health care and income with bicycles.